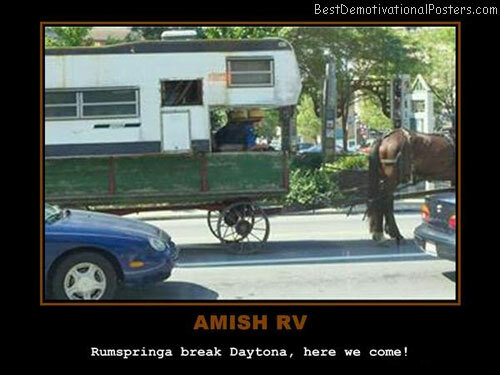 Amish RV - Rumspringa break Daytona, here we come! 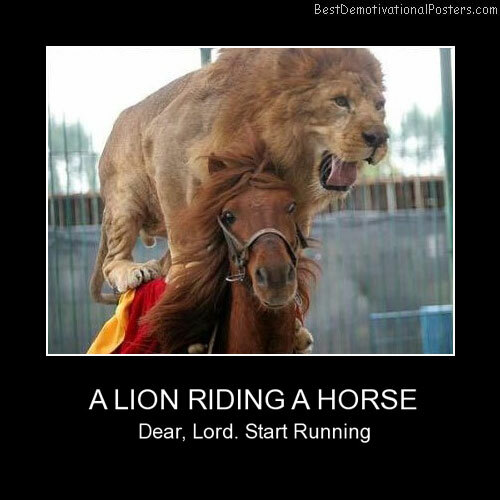 A Lion Riding A Horse - Dear, Lord. 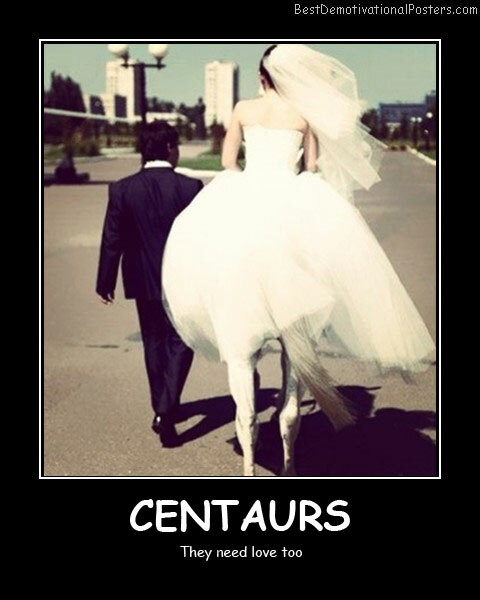 Start running. 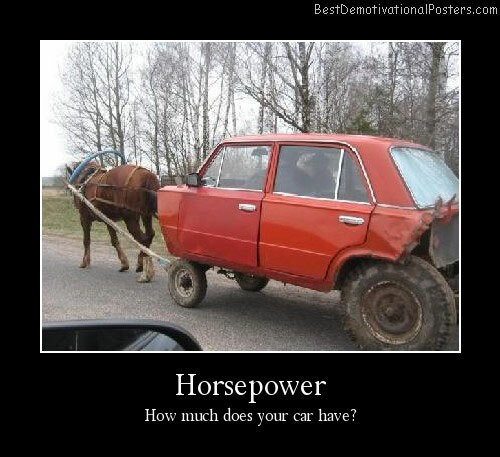 Horsepower - How much does your car have? 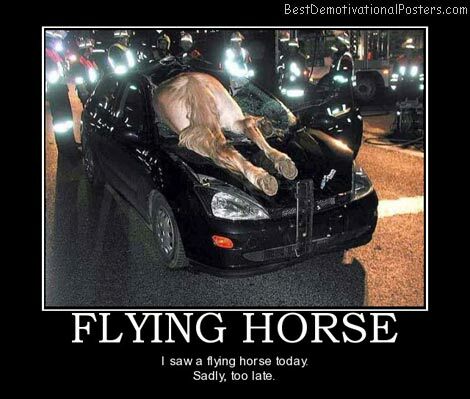 Flying Horse - I saw Flying Horse today. Sadly, too late. 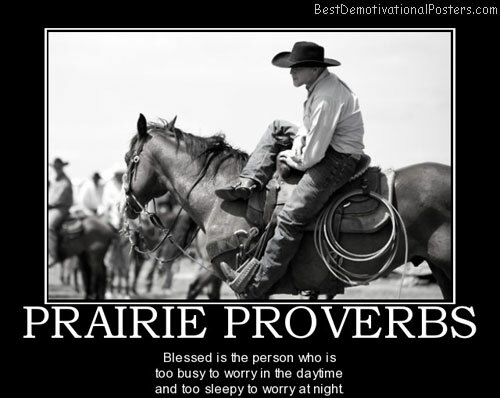 Roses Are Red - Violets are blue. 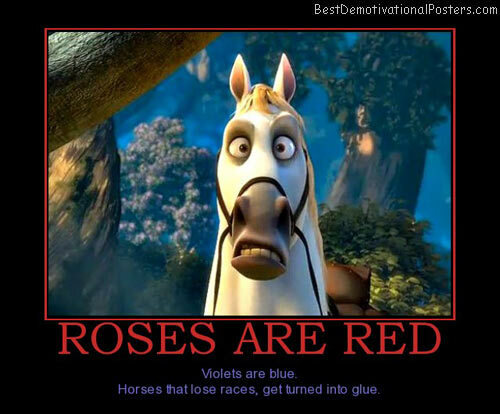 Horses that lose races, get turned into glue. 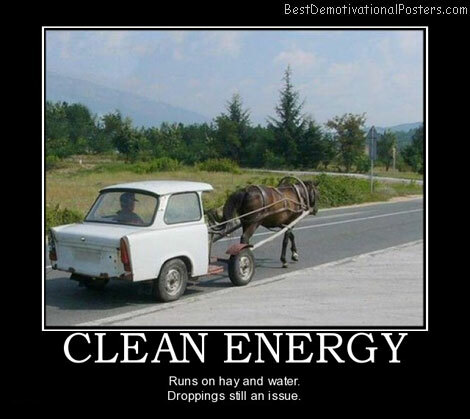 Clean Energy - Runs on hay and water. Droppings still an issue. 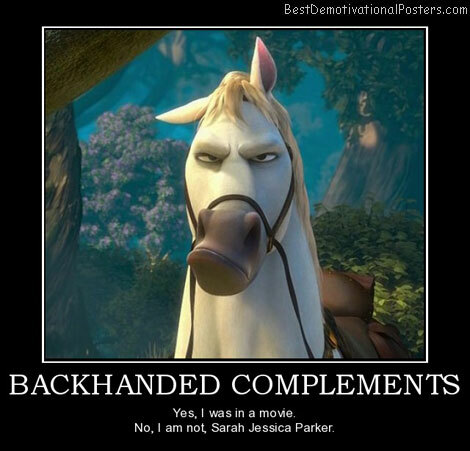 Backhanded Complements - Yes, I was in a movie. 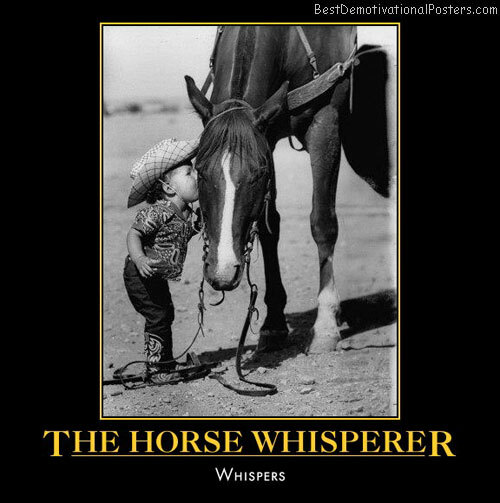 No, I am not, Sarah Jessica Parker. 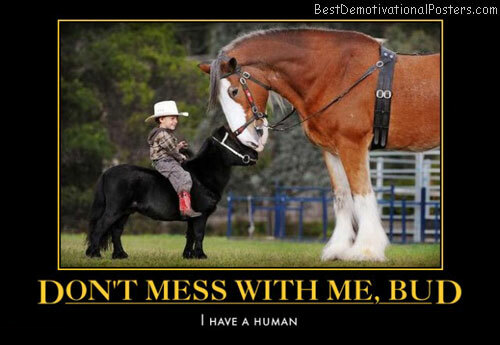 DON'T MESS WITH ME, BUD - I have a human. 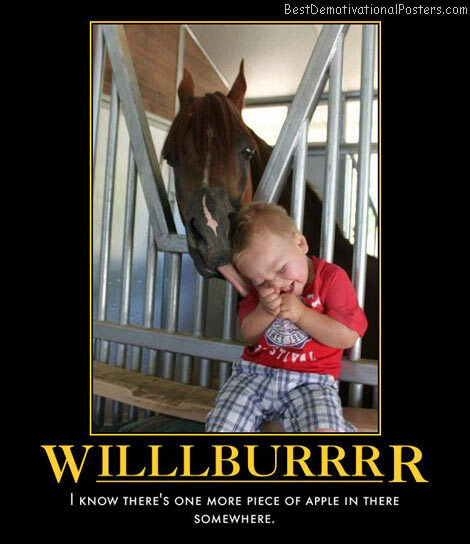 Willlburrrr - I know there's one more piece of apple in there somewhere. 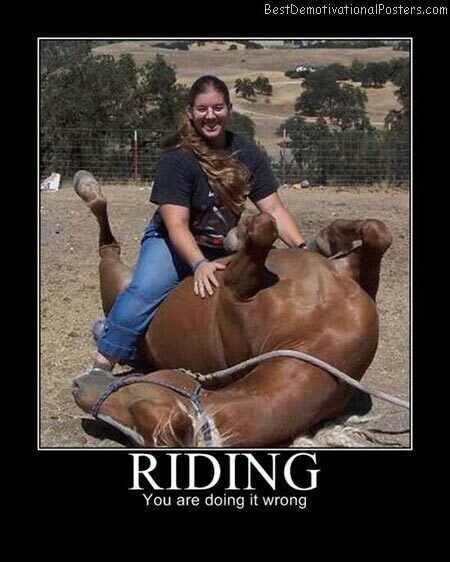 Riding - You are doing it wrong.